Don't let your bladder control your life! The NorthStar blog on urinary and bladder health brings you the latest news and best options for natural urinary and bladder support. Could this Vitamin Be the Answer to Urinary Tract Health? If you’ve ever experienced an unhealthy urinary tract, then you understand just how important urinary tract health can be. So you get plenty of water, and drink cranberry juice – but if you aren’t getting enough of one key vitamin, you could still be missing out! So let me ask you – how much time do you spend in the sun? Think it’s unrelated to urinary tract health? Not when you realized that vitamin D is the key to a healthy urinary tract system! And yet, up to 75% of the population could be vitamin D deficient! Which makes it even more important to understand how vitamin D plays a role in urinary tract health. It helps, of course, to understand how the urinary tract works before you can understand how to keep it healthy. Most people have a vague concept of what the urinary tract system is…and it includes the bladder…and that’s about it. Yes, the urinary tract does include the bladder, but it’s more than that, as well. Your urinary tract is made up of the kidneys, ureters, and bladder. Your kidneys filter blood, removing toxins and extra fluid from your body. This is urine. Which then moves from the kidneys to the bladder, via the ureters – thin tubes that run alongside your bladder. And finally, of course, your bladder, which stores the urine until you go to the bathroom and pass it. The muscles that keep the bladder closed and prevent leaks are the pelvic floor muscles, the urethra, and the bladder neck. We’ll come back to these muscles in a minute. So a lot more than just your bathroom habits depend on urinary tract health! And that’s where vitamin D comes in. We’re back where we started – with the unpleasant symptoms that are associated with an unhealthy urinary tract. And guess what has been linked to those unpleasant symptoms? That’s right, vitamin D deficiencies. Since the urinary tract’s job is to filter waste, it means that those microscopic toxins pass through the system – exposing the kidneys, ureters, and bladder to the very substances it needs to get rid of. Vitamin D produces a very specific anti-microbial peptide right there in the urinary tract. And what, exactly, does that mean? It means that vitamin D produces the very thing your body needs to maintain urinary tract health, exactly where your body needs it. And that’s not the only way vitamin D contributes to urinary tract health. Remember the muscles that help prevent embarrassing leaks? Vitamin D deficiencies have been linked to those muscles – especially the pelvic floor muscles. In studies, adding vitamin D supplements helped resolve the issue! While all of this is important information and good to know, what are you supposed to do now? That’s easy. Make sure you’re getting enough vitamin D.
Start with sunlight. There’s a reason vitamin D is known as “the sunshine vitamin.” Your body can actually get all the vitamin D it needs from spending time in the sun. The only problem is that, depending on several factors like where you live and what time of year it is, it can be challenging to spend enough time outside to get vitamin D but not cross over into sun damage. Generally speaking, for best results, try to be outside when your shadow is shorter than you are tall. Fair skinned people can get enough vitamin D by spending about ten minutes outside in the summer. But older people and people with darker complexions will have a more difficult time getting the vitamin they need for urinary tract health from sun alone, even in summer. And in winter, it’s almost impossible for people living in the northern half of the country to get enough sun. Remember diet. The truth is that diet alone won’t give you enough vitamin D to promote urinary tract and overall health. However, you can still boost your vitamin D intake by eating the right foods. Fortified foods, like milk and cereal, can be reasonable sources of vitamin D. Some foods, like fatty fish (think salmon) and egg yolks are natural sources of the vitamin. Work some of these into your diet and you’ll get closer to closing the vitamin D gap. Don’t shy away from supplements. 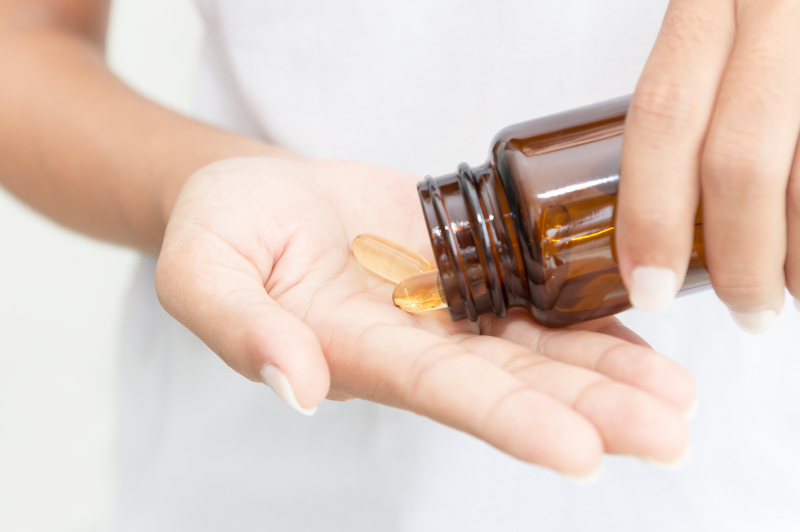 In order for most people to get the amount of vitamin D they need, year-round, it’s going to require supplements, along with time in the sun and diet. You can certainly take individual supplements, but for optimal urinary tract health, consider a formula specifically designed to support every part of your urinary tract system, like ProTeva Plus. Getting enough vitamin D is more important to urinary tract health than you may have realized. Luckily, it’s also easier than you may have thought – with sunlight, diet, and ProTeva Plus! When was the last time you slept through the night without your bladder waking you up? Or made it through a full round of golf without having to take a bathroom break? Or was able to focus on a romantic dinner without needing to excuse yourself? Luckily, there’s a solution. If you’ve struggled with bladder control for months or if it’s just starting to be a problem, you need to start working out! That’s right – you can use bladder exercises to boost your urinary health the same way you use bicep curls to boost your arm strength. And you can achieve impressive results with one simple bladder exercise. Imagine not having to time your day around trips to the bathroom. It’s possible – and it’s not even that much work. The bladder exercise you need can be done anywhere, anytime, and no one will ever even know. It’s that easy. Working out without breaking a sweat? That hardly seems worthwhile – but it’s more than worth it, especially when you start living with the results. Having a type urinary incontinence isn’t something most people like talking about. At best, it’s embarrassing. At worst, it can lead to social and professional isolation. But it shouldn’t be shameful, or a source of embarrassment, because it’s a medical condition, just like so many other medical conditions. 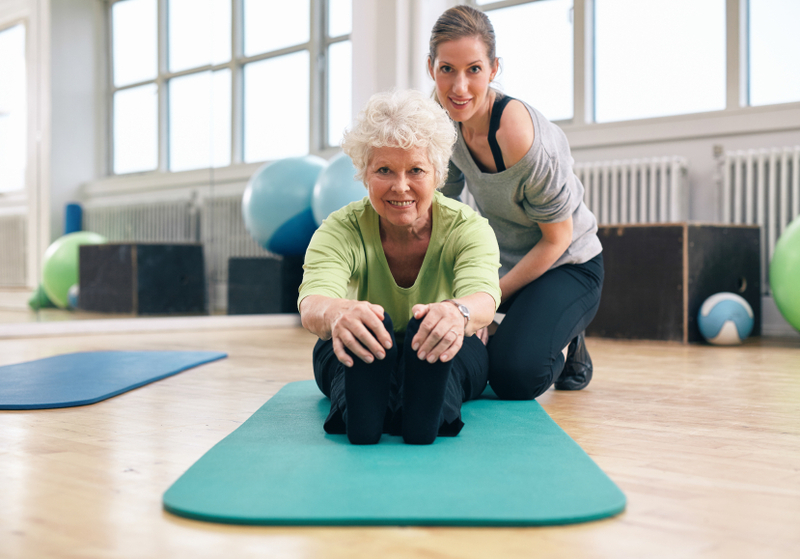 In fact, nearly 13 million people are affected by some type of urinary incontinence – which is why we’re willing to demystify it and talk about it. 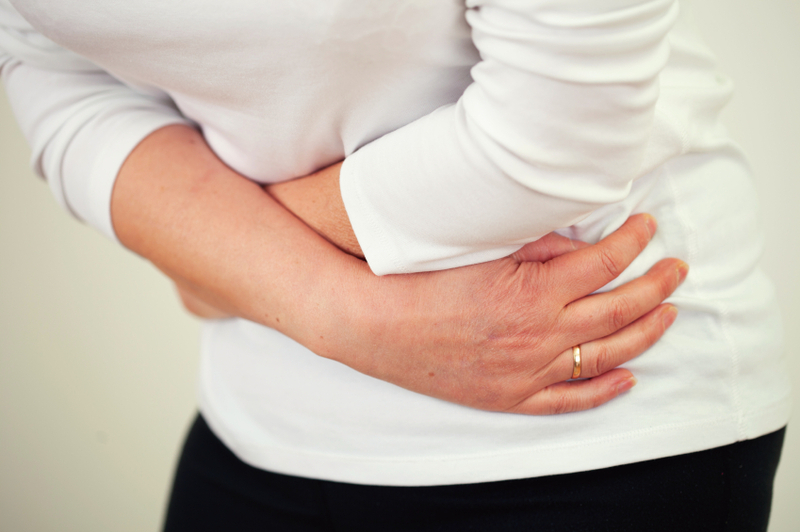 Talk about the types of urinary incontinence and what, if anything, can be done about them. A leaky bladder can mean different things to different people. Maybe it’s as minor as a leak when you sneeze. Or maybe it’s as major as waking up in the middle of the night needing to change the sheets. Either way, know that you’re not alone. Since 2011, about 33 million Americans have been dealing with a leaky bladder. Prostate Defense ingredients feature a revolutionary formula that includes 8 prostate-supporting nutrients for perfect prostate health. Because, let’s face it…every man needs to be conscious of keeping his prostate healthy – 50% of all men will develop prostate issues by the time they’re 50 years old and for men who live past 80, that number skyrockets to 90%! With numbers like that, it only makes sense to take action early. Which is why it’s important to know all the options – and what your best options are. Vitamin E: A powerful antioxidant that attacks free-radicals which can damage cells and contribute to prostate concerns. Zinc: Levels of zinc are highest in the prostate than in any other tissue in the body. Low levels of zinc are associated with unhealthy prostates. 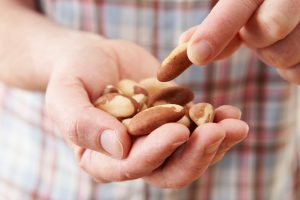 Selenium: An essential element for humans, selenium plays a vital role in reproduction, and offers protection from oxidative stress. Saw Palmetto : A plant used for centuries to help improve prostate issues, including nighttime urination. It’s the most popular herbal treatment in the U.S. for prostate concerns, but it doesn’t always work for everyone on its own. Combine it with these other supplements, though, and it’s extremely effective. 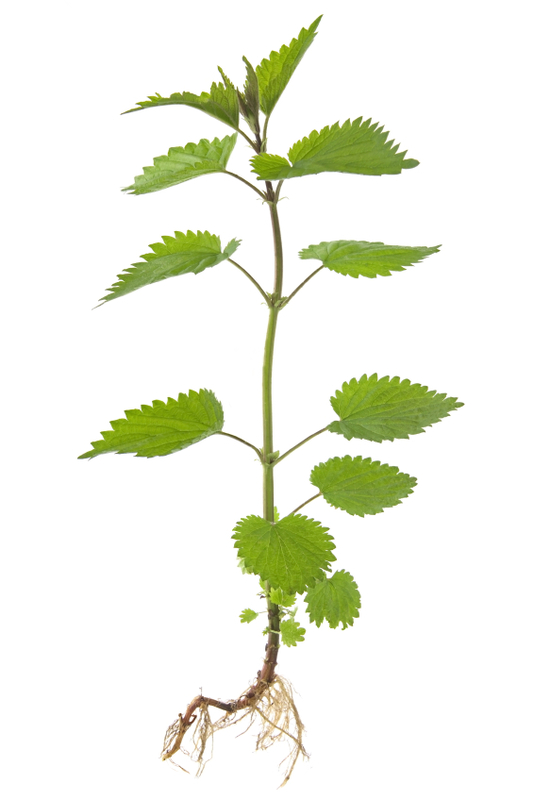 Nettle Root: Nettle root is used to help improve prostate health. One study showed it to be “significantly” more effective than placebo for dealing with prostate issues. Pumpkin Seed Oil: When taken orally, pumpkin seed oil is frequently used to address prostate issues. Not only did study participants report decreased symptoms, but their reported quality of life increased – which is a change we can get behind. Pygeum africanum bark extract: Another traditional treatment used today for symptoms caused by an unhealthy prostate, such as poor urine flow. Lycopene: Long known to be good for eyesight, lycopene is also a potent antioxidant that may protect cells from damage. In fact, antioxidants in lycopene may promote a healthier prostate. Not worrying about where the bathrooms are, or what you’ll miss while you’re in there. And when you try Prostate Defense today, you’ll save 25% on your first order. Simply use promo code W650Q4ZK when you check out and save 25% today. Don’t wait any longer for perfect prostate health. All of this physical – and emotional – relief can be yours in 2 softgels, twice a day with Prostate Defense – the only all-in-one defense you’ll ever need. Click here to order Prostate Defense today and save 25%. The superbug problem didn’t exactly sneak up on us. The writing has been on the wall for years. In fact, I first started warning Guide to Good Health readers about antibiotic resistance at least six years ago. Heck, even the mainstream media began to catch on a couple of years back. So, you’d think we’d be starting to get a handle on the issue by now. Sadly, that’s not the case. Not by a long shot, according to a recent study published in the journal Antimicrobial Resistance and Infection Control. According to researchers antibiotic resistant infections, such as urinary tract infections (UTIs), are actually on the RISE. It’s yet another case of mainstream medicine doing too little and doing it too late. Instead of dialing back on their overprescribing, many docs’ reaction to the superbug news was to simply switch from their now mostly-useless go-to antibiotics to different antibiotics. And I’m sure you can guess what happened next. These bad bugs, many of them forms of E. coli, are now becoming resistant to even more commonly prescribed antibiotics. Urinary tract infections are the second most common type of infection here in the U.S., with about 8.1 million people visiting the doctor every year looking for some relief. But these misery-causing bugs are now not only resistant to most antibiotics in the penicillin and cephalosporin families, they’ve also become highly resistant to some of the most commonly used drugs for treating urinary infections Ciprofloxacin and Trimethoprim-Sulfamethoxazole. The best way to deal with a urinary tract infection is, obviously, to not get one in the first place. I shared some specific advice on how to UTI-proof yourself a few years back, including some dietary guidelines and supplement tips. If you missed that issue, click here to catch up on the NorthStar Blog. And if you’re already suffering with one of these nasty infections, don’t turn to antibiotics first. They likely won’t knock out your infection anymore anyway, but they CAN destroy your good gut bugs, leaving you wide open for secondary infections. Instead, consider giving D-mannose a try. D-mannose is the ingredient found in cranberries that naturally fights off infections. And while you may have heard some conflicting reports over the years about cranberries and UTIs, I can assure you that this powerhouse can knock out just about any bladder infection that’s caused by E. coli. You‘ll find D-mannose online and in most natural food stores. Drink a half to a full teaspoonful dissolved in water every half an hour or so for two days. If you don’t see an improvement after forty-eight hours, THEN make an appointment to see your doc. The hidden cause of your pee problems? If you're a guy fifty or over you might want to brace yourself before reading any further. I have some news to share that just might shock you. Stop me if any of this sounds at all familiar... Your nights are packed with potty runs that produce nothing more than a frustrating trickle. And your days are a virtual bottleneck of annoying bathroom breaks. Tell your friends this and they will respond as a chorus "It's your prostate!" But if you've been to the doctor and he has declared you and your prostate perfectly healthy, there may be another cause of your frequent urge to go. Once we turn fifty or so we're constantly bombarded with messages about how prostate concerns are now OUR concerns. We're told at every turn that we better start supporting our prostates NOW since virtually all "older guys" will eventually be in the same prostate boat. But, consider this: what if it's NOT your prostate? What's the REAL cause of your bathroom blues? What if there's another big reason that guys find themselves always making sure they know where the closest bathroom is? Could the reason for the peeing problems almost all older men encounter really go beyond the prostate? The answer is yes. And that reason is almost always overlooked, but it's just as obvious as...well... the nose on your face. And for many men who've tried just about "every prostate solution under the sun" it can be like a miracle once they receive the support they REALLY need to promote "normal peeing." The fact is your pee system is made up of two major organs...the kidneys and the bladder. And these organs work hard all your life to filter out toxins, store urine, and remove it from your body. Yet despite all they do for you, they go virtually ignored and unsupported. Think about it for just a moment. After being worked and stretched to capacity over and over again for 50 or more years is it really any wonder that the bladder begins to stretch and weaken? And the kidneys start to get worn and tired? So even if your prostate is in perfect condition, peeing can become more difficult, and fully draining your bladder can sometimes seem like a distant dream. But things can be different. In fact, you can naturally support your entire urinary system...your kidneys AND your bladder...plus your prostate to boot. And it's probably a whole heck of a lot easier than you think. The three-pronged approach to keep "peeing perfectly" Now, since we're talking about three major organs here supporting them with a three-pronged approach to help maintain "perfect peeing" just makes sense, wouldn't you agree? You can call me a supplement geek if you like (in fact it's a label I wear proudly) but that's why I'm super excited to tell you about the brand-new solution I helped create. It's Northstar Nutritional's new triple protection formula, called ProTeva Plus. It's the first formula I'm aware of that doesn't simply label your pee problems a "prostate issue," while ignoring your hardworking and aging bladder and kidneys. Instead ProTeva Plus is designed to give all three organs the support they need. First up is an herb that could very well become your kidneys' best friend. I'm willing to bet you've never even heard of lindera root extract. And chances are, unless he has spent some time in China or practices traditional Chinese medicine, your doctor hasn't heard of it, either. But for thousands of years traditional healers have used this herb to treat frequent urination and help maintain healthy kidneys. Next up is the herb that Ayurvedic healers swear by when it comes to giving your bladder the support it needs. It's thought that three leaf caper can help you maintain bladder strength which can, in turn, help address that frustrating trickle we talked about earlier. And that urinary tract support is why ProTeva Plus packs a powerful punch of this Ayurvedic favorite. And the final powerful prong in the ProTeva Plus approach is one that you may have heard of before. Horsetail, long a favorite of prostate formula makers, is considered to be one of the most powerful natural pee inducers we know. But there's more to this herb than meets the eye. Hiding within horsetail is a silicon secret. You see, your body uses silicon as a building block to build...well...just about everything. And since horsetail packs in a healthy size portion of the stuff, your bladder and kidneys get an extra shot of silicon support. If these three powerful ingredients were all that you find in ProTeva Plus, I would already be singing the formula's praises. But there are five more prostate heroes packed into these easy to swallow softgels. To get all of the "perfect peeing" details on ProTeva Plus... plus a special opportunity to try out the powerful three-pronged formula for yourself... just click here. It's one of the worst ideas I've heard in a long time. And believe me when I tell you I've run across some real doozies. I'm talking about botox bladder injections. Injecting your bladder wall with the neurotoxin botulinum toxin to resolve your overactive bladder problems. You probably know it by its trade name Botox. And yes, this is the same stuff that women (ok, to be fair, some guys too...hello Hollywood) inject into their faces to freeze their smiles into place. I'll have more on this cockamamie idea in just a moment, but first let's talk about your bladder. 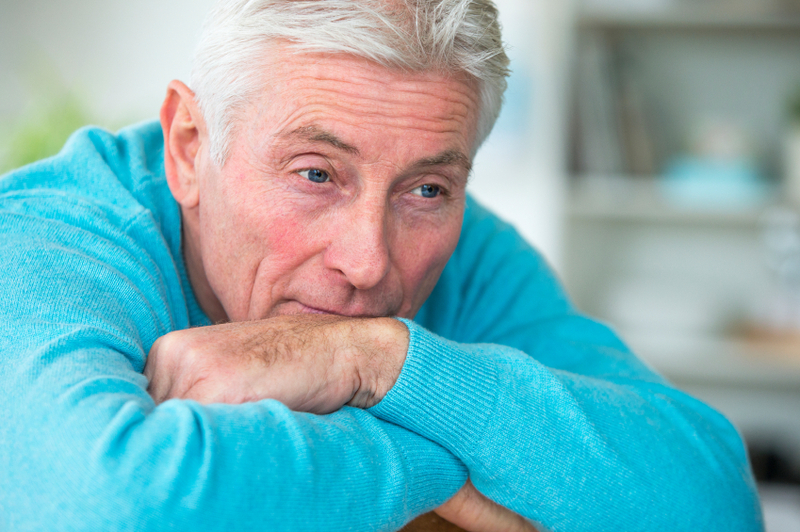 Urinary urgency issues are a fact of life for many of us as we age. It's a common problem. And when it comes to feeling like your bladder might burst and doing the potty shuffle, it doesn't matter if you're a man or woman. This is an equal opportunity problem. But, if you sometimes feel like it's your bladder...and not you... that's in control I have some great news. You can do something about it. Let's face it living with an overactive bladder can be a nightmare. You feel chained to your toilet and you end up missing out on activities you love for fear of getting too far away from a bathroom. So I can understand why even something as extreme as botox bladder injections might sound worth it. But, as is so often the case, the truth (or the devil) lies in the details. The truth is only one out of three women got any relief from the botox bladder injections. But one in six of them ended up jumping out of the frying pan into the fire when, suddenly, they went from having an overactive bladder to having difficulty urinating at all. In fact, some of the ladies had such trouble urinating that they had to resort to occasional self-catheterization just to get some relief! The rate of urinary infections shot up in the women receiving the botox. In fact, UTIs occurred in three times as many women who received the toxin as the placebo. And of course there were the standard side effects of the drug to deal with, which include constipation, dry mouth, and blurred vision. Sure, in the end 31 percent of the women reported a positive outcome. But the way I read the study that leaves a whole lot of other women with unwanted side effects, and still living with the problem. And who knows what it will do for guys experiencing this same problem. I can't imagine the outcomes would be much better. Trying something much less drastic... and all natural... first just makes sense. Wouldn't you agree? Ancient healers understood one important thing about medicine that many of today's docs don't seem to have ever learned, and that's if it works it works. What do I mean? Simple, if you give a remedy to someone who is suffering from a problem and his problem goes away then that remedy works. Now don't get me wrong. I'm a man of science and I believe research and studies are vitally important. But I'm also a man of logic and if something has worked for thousands of years, but we don't yet have a study proving it works, that doesn't mean that it doesn't work. It just means the science hasn't caught up with the practice yet. That's why I often recommend trying a traditional medicine method before resorting to extreme measures like... well... shooting botox bladder injections into your body. And there are three ancient remedies that time has taught us can tame that gotta go feeling, putting you back in control. Buchu -- South Africans use preparations made from this plant to improve the health of the urinary system and as a remedy for bladder and kidney problems. Crateva -- an ancient herb used for centuries in Indian Ayurvedic medicine to balance and support the urinary tract and bladder tone. Corn silk -- this herb, used to soothe the urinary tract and as a natural diuretic, is a part of the maize plant grown for more than 7,000 years in North America. Horsetail -- this prehistoric plant is often used by healers to help with urinary control and function. Devil's claw -- this herb, native to the desert of southern Africa, is used by traditional healers to support the bladder so it can hold urine until it can be emptied. Bromelain -- extracted from the stems of pineapples, this herb is used in folk medicine to treat bladder inflammation and urinary tract issues. Lindera -- grows throughout East Asia and is used in Traditional Chinese medicine to help relieve frequent urination. If you're just living with your overactive bladder because you feel like there's nothing you can do about it... don't! Why not give one, or all of these, proven traditional remedies a try instead? And before you know it you may be turning that gotta go feeling into a "let's go!" as you head out the door for your favorite activity. Dancing anyone? In addition, the men taking the cranberry extract reported zero side effects. (That‘s an important factor, when you consider the serious side effects associated with most prescription drugs used to treat BPH.) On the other hand, the men taking the placebo experienced no improvements in urinary or prostate function. Last May, I talked about six steps to follow for a healthier prostate. And based on the results of the Czech research, you may want to consider adding a seventh step and take some cranberry extract every day...especially if you‘re over 50 and suffer from BPH or urinary problems. Dried cranberry extract is pretty easy to find. It comes in capsule form. Just make sure to give it some time before you expect to see any results. It may even take six months of steady supplementation before you experience any improvements in urinary flow. Last month, a man from a small town near Boise, Idaho hit a number of mailboxes and ran into several parked cars before getting pulled over. The local policemen took the man to the hospital because he appeared to be intoxicated. Turns out, the man wasn't drunk, though he had no memory of the previous five hours. Believe it or not, the man was "sleep driving." He had taken an Ambien earlier in the evening and could not remember anything from his wild ride. I wasn't surprised to learn about this man's story. Ambien may cause all kinds of crazy side effects. In fact, on the Ambien website, it warns users that: "Sleepwalking, and eating or driving while not fully awake, with memory loss for the event, as well as abnormal behaviors such as being more outgoing or aggressive than normal, confusion, agitation, and hallucinations may occur." Thankfully, no one was hurt in Boise, Idaho. But nevertheless, the very real risk of "sleep driving" is enough to place Ambien in "you've-got-to-be-nuts-to-take-it" category. Sleep: No joking matter All jokes aside, I know why the Boise man took the Ambien in the first place. He wasn't nuts. He just needed to get some sleep. And that's understandable. Getting a good night's sleep ranks as high as proper nutrition and regular exercise in determining your overall health. But according to Harvard scientists, most of us don't get enough. In fact, 75 percent of men and women experience sleep problems at least a couple of times a week. You may go to bed tired, but your mind just won't shut off. You end up tossing and turning, trying not to look at the clock. Or maybe you fall asleep just fine; it's staying asleep that's the problem. Plus -- insomnia can be worse at certain times in your life. Times of stress obviously can disturb your sleep. In addition, women going through menopause often experience bouts of insomnia. Unfortunately, long-term sleep deprivation wreaks havoc on your overall health. Scientists now know that sleep is critical to keeping your memory sharp, your weight down, your immune system charged, your mood up, and heart pumping strong. The good news is, there's plenty you can do to improve the quality of your sleep without resorting to a drug like Ambien, or even something milder like Tylenol PM. Safely and naturally improving your sleep You know to avoid caffeine (even in the morning), napping during the day, and TV-watching in the bedroom. You know not to exercise before bed. And you know drinking alcohol before hitting the sheets often makes things worse. So what else can you do to improve the quality of your sleep without resorting to drugs? Here are a few suggestions: 1. First off, you may try upping your daily magnesium. Go for 500 mg capsules at bedtime. If you also suffer from mild anxiety, this amount of magnesium may also lessen your symptoms. 2. If you're under the age of 40, you should also try using l-tryptophan. It's an essential amino acid (meaning your body doesn't produce it, so you must get it from your food). You'll find l-tryptophan in foods like turkey, chicken, milk and eggs. But you'd have to eat something like 15 servings of turkey to get as much of this beneficial amino acid as you'd get in one supplement. L-tryptophan supplements were favored for years among naturopaths to treat sleep disorders as well as hyperactivity, obsessive-compulsive syndromes, depression, migraines, and even the tremors of Parksinson's disease. Then in March of 1990, the FDA banned l-tryptophan from sale in the U.S. after linking a single bad batch of the supplement to a rare blood disorder that caused 37 deaths. Why didn't the FDA just recall the bad batch, like it has done for plenty of contaminated drugs over the years? I have my hunches. In fact, just four days after the FDA ban of l-tryptophan, Newsweek ran an article praising the development of a new wonder drug called Prozac. Coincidence? I think not! Here's why… You see, your body converts l-tryptophan into serotonin, the feel-good neurotransmitter in the body responsible for regulating your sleep as well as your mood. On the other hand, drugs like Prozac (as well as Paxil and Zoloft) only enhance the performance of the serotonin already present in your bloodstream. They don't help you to produce more serotonin, like l-tryptophan can. Thankfully, the ban on l-tryptophan has been fully lifted. Now, you and I can once again use it as a natural sedative (at bedtime only). It works gently in the body to induce sleep and won't cause morning-after fogginess. Unfortunately, if you suffer from lactose intolerance, you may have more difficulty absorbing l-tryptophan. 3. I've also seen excellent results using melatonin supplements. But melatonin is a hormone, so I don't recommend taking it if you're younger than 40. But as we get older, our melatonin production slows down so there's less of a chance of you getting "too much" by taking it as a supplement. Go for the smallest dose to start: 1.5 mg at bedtime for ages 40 to 50 or 3 mg for people over the age of 50. With higher dosages, you might wake up drowsy. If that's the case, you know you've taken too much. 4. After a certain age, many of us wake up every night to visit the bathroom. If a full bladder is what's causing your nighttime wakefulness, there's a plant extract call three-leaf caper (crateva nurvala) that just might help. Used in Ayurvedic medicine for centuries, three-leaf caper helps to strengthen and tone the bladder wall so it can fully empty. You'll find three-leaf caper, along with several other herbs that support bladder function, in a NorthStar Nutritional product called UroLogic. To learn more about three-leaf caper and UroLogic, read this: http://www.northstarnutritionals.com/p/UroLogic.htm. For men interested in a product that supports bladder as well as prostate function, consider ProSense by NorthStar Nutritionals: http://www.northstarnutritionals.com/p/ProSense.htm. It's a safe, natural, and effective way to address both bla dder and prostate health. 5. Lastly, is it possible that you're just a "light sleeper"? Do you get woken up by sounds in your environment and then have trouble getting back to sleep? If so, you may try putting a "white noise" machine in your room. The machine's gentle swooshing sound will drown out any noises that might wake you through the night. A good one runs about $50. Just remember, sleep is your body's time to refresh and reboot. It's vital for your overall health. So if you're not getting at least 8 hours of restful z's each night, go ahead and give one of these natural sleep aids a try. Despite the title of this article, I wish I had better news to share. It seems that several mainstream drug treatments for incontinence have been found to cause significant mental decline. U.S. Navy neurologist, Dr. Jack Tsao, decided to research these side effects after meeting with a 73 year old patient who’d started having memory problems and conversations with dead relatives shortly after adding an incontinence drug to her daily regimen. The incontinence drugs fall into a class of drugs called anticholinergics, which also include drugs for high blood pressure, asthma and Parkinson’s. They work by altering a chemical messenger called acetylcholine—a chemical responsible for nerve impulses (including those related to bladder control)…it’s also closely associated with memory and focus. In an analysis of 870 men and women with a mean age of 75 over the course of eight years, annual cognitive exams showed those who were using this particular class of drug had a mental decline rate that was 50 percent faster than those who weren’t using the drugs. Although the problems seemed to disappear once the drugs are discontinued, it begs the question, would it be better to control your bladder and give up memory and sharpness? Or wear a diaper and maintain your mental facilities? Prime time television ads for prescription drugs rattle off their potential side effects at the end. And it’s almost laughable how often the side effects are far worse than the problem they’re designed to treat. Obviously, I’m biased. But it’s been my experience that for just about every illness or ailment, nature has provided us with a remedy that comes with no side effects. A track record the mainstream would be hard-pressed to beat. But if you find yourself in a situation where your only option is a prescription drug, be sure to read the fine print…all of the fine print. And be sure to ask questions about anything that jumps out at you. Getting back to the topic of urinary incontinence, remember that the bladder is a muscle like any other muscle in the body. And that means there are both exercises and powerful muscle and nerve-supporting nutrients that have been shown to help strengthen the bladder and urinary tract. The herbs horsetail and crateva nurvala have an ancient history of use for toning and soothing the bladder. While minerals like calcium and magnesium play important roles in healthy nerve and muscle function. None of which have any known side effects! So, contrary to what the mainstream might have you believe…you can have the best of both worlds.